David McGuinness has spoken to TheJournal.ie about his decision to quit Fianna Fáil today. DAVID MCGUINNESS SAID that his decision to quit Fianna Fáil made sense in the wake of his disillusionment with the party, but added that it doesn’t make it any easier. 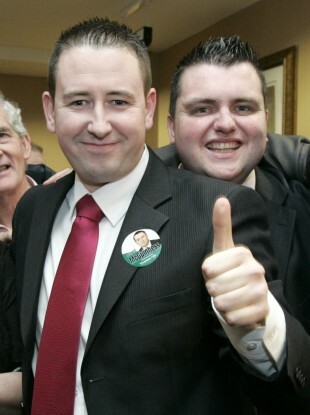 The newly-independent Fingal councillor announced his decision to quit the party earlier today in the wake of his failure to be selected as its general election candidate in Dublin West in February. The two-time failed by-election candidate says he hasn’t decided if he will join another party or remain independent, but said he will more than likely run in the next general election. McGuinness told TheJournal.ie there is “not a hope in hell” of him joining Sinn Féin, but did not entirely rule out Renua Ireland, which he claimed had approached him indirectly in recent weeks. “I really believe I am a centrist politician. I don’t see Renua in that light. I could be wrong on that,” he said. On his decision to quit the party, McGuinness said it was a difficult one but said his concerns about the direction of Fianna Fáil “had fallen on deaf ears” within the party. Today, I have resigned from Fianna Fáil. Statement in full https://t.co/TL1vvK3aG4 Thanks for support and encouragement over recent weeks! He insisted his decision was not sour grapes after failing to win the recent selection convention and said he is “too much of a decent fella” to bare ill will towards people in Fianna Fáil. I don’t harbour sour grapes towards anyone and I never have. People that know me know that I’m just a decent skin. I’ve been centre stage for the past three years but the rug has been taken from underneath me with regard to Fianna Fáil. The Blanchardstown-based councillor claimed he was promised a meeting with party leader Micheál Martin after his failure to win selection in Dublin West in February, but said “it never happened”. Fianna Fáil has not yet commented on his departure. Email “'I don't take any pleasure in quitting Fianna Fáil, it was a big part of my life'”. Feedback on “'I don't take any pleasure in quitting Fianna Fáil, it was a big part of my life'”.